It’s leading into Christmas. We know, we know!! It’s too early to be thinking of such things but now could be a perfect time to be thinking of the season of goodwill. Whether you think of it now or later the reality is it’s always expensive. However with our friends at Eaton we just may have the solution. We have three £100 Love2shop vouchers to be won in our latest competition!! For those who are uninitiated with the premise of the Love2shop vouchers, here is the deal. The multi-retailer voucher can be used in over 20,000 locations across the UK. Here is a little background on our great friends, Eaton. Well we were delighted to recently add to our Eaton catalogue with the impressive RE, and REC Racks. RE Series is the enclosure platform of choice for essential housing applications. The RE series is particularly suited to back office and commercial building infrastructure applications. These racks are serviced from stock for easy availability. Eaton’s REC Series IT racks deliver essential storage and protection for critical IT equipment in small, medium and large data centre applications. Fully compatible with containment solutions. Eaton are a leading global provider of power quality and management solutions, Eaton consistently delivers the best availability demanded by today’s digital economy through its comprehensive line of Powerware Products. With more than 40 years of solid performance, in-depth knowledge of your applications, continuous innovations and world-class services, Eaton’s extensive Powerware product offering can deliver the best power solution for you. Eaton’s electrical business is a global leader in power distribution, power quality, control & automation, and monitoring products & services. Eaton’s global electrical product series provide customer-driven solutions to serve the power system needs of the data centre, industrial, institutional, public sector, utility, commercial, residential, IT, mission critical, alternative energy and and OEM markets worldwide. A Global leader of quality backup power UPS, Uninterruptible Power Supply. Eaton UPSs are designed to deliver high quality backup power from desktop PCs to large data centres. Split into four categories: PC, Workstation & Home AV UPS, Network & Server UPS, Data centre & Facility UPS and Marine & Offshore UPS. Eaton make it easy to find the right solution for your needs. Whether you require a solution in the home or protection for your data centre. Supported by integrated power distribution within rack enclosures or power anywhere in your data centre, Eaton provides a full line of power distribution equipment including basic, switched, metered, managed and in-line. There is more great news with the Comms Express and Eaton combination. 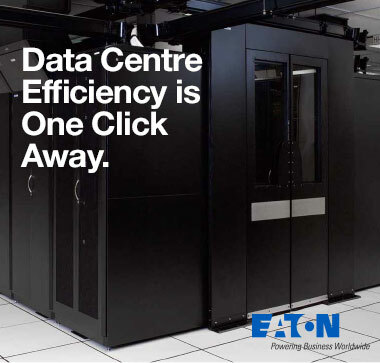 We are currently offering Double Data Points when you purchase a selection of Eaton products. So keep the good news coming and be sure and enter our #CommsEaton competition.